Defend Jafar Azimzadeh – on hunger strike for over three weeks! Jafar Azimzadeh, a prominent labour activist in Iran, has been on hunger strike in Evin Prison for over three weeks! On April 29th Jafar Azimzadeh and Esmail Abdi, a jailed teacher who has now been freed on bail, issued a May Day statement announcing that they would go on hunger strike to protest against the regime’s hostility towards labour activists, teachers’ low wages and the ban on independent labour organisations commemorating May Day, International Labour Day. 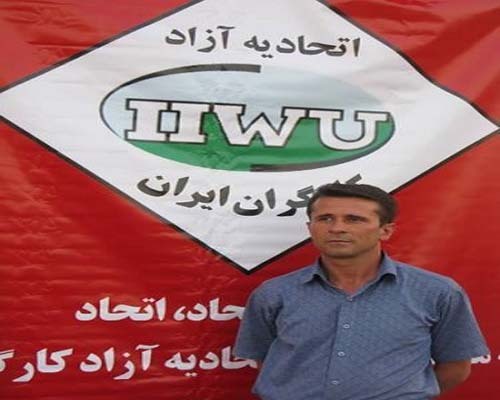 Mr Azimzadeh is a welder and the main leader of the Free Union of Iranian Workers. He played a prominent role in organising the petition signed by forty thousand workers. He was jail following a series of trumped up charges, including endangering national security. His physical and psychological condition is deteriorating rapidly as his hunger strike enters its fourth week and his jailers in Evin continue their relentless pressure on him. The Shahrokh Zamani Action Campaign (SZAC) will be publicising Jafar Azimzadeh’s case in the coming days and is looking to take action to highlight his situation in jail.